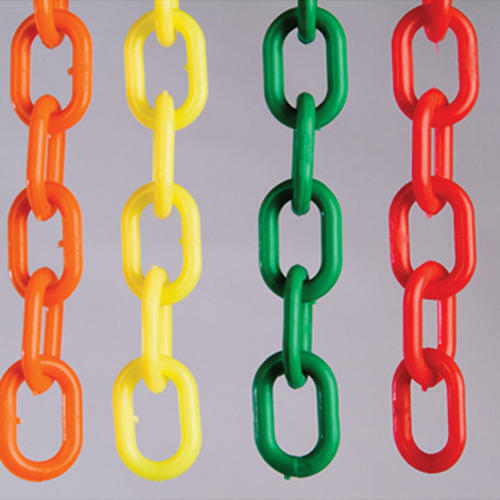 We are a leading supplier of Plastic Link Barricading Chains. In today's world, security of industries and safety of their workers is everyone's primary concern. We at Taheri Enterprises, aim to provide you with the best Safety Equipments and Services under one roof. We are the Manufacturer and Dealer of wide range of Personal Protective Equipments. Our products range consist of Head Protection, Ear Protection, Face Protection, Eye Protection, Hand Protection, Body Protection, Feet Protection, Respiratory Protection, Fall Protection, Protection against Industrial Hazards, Emergency Safety Showers, Industrial Signages, Road Safety Products, Fire Fighting Products, Security Products, Marine Safety Products, Industrial Safety Locks, Welding Regulators & Cutters, Welding Equipments & Consumables, Welding Holders, Torches & Nozzles, Welding Accessories, Tig Mig Accessories & Tungsten Rods and Industrial Fabrics. We have been able to meet the various expectations of our client mainly due to the technical superiority we command when it comes to the usage of performance centric equipments and machinery. The complete infrastructure that the built by the company is spread over a large area and is bifurcated into various departments. These departments are resourced with all the requisite amenities that are essential to carry out our business related processes in a well organized manner. Our team of experienced professionals enables us efficiently which helps us to achieve our annual targets. These professionals work with client-centric approaches, which help us ensure maximum satisfaction of our clients. The in-depth knowledge that our professionals have in their respective fields help us to develop best products for the clients. The well established distribution network of our company enables us to deliver ordered products to the clients within the predetermined time frame.